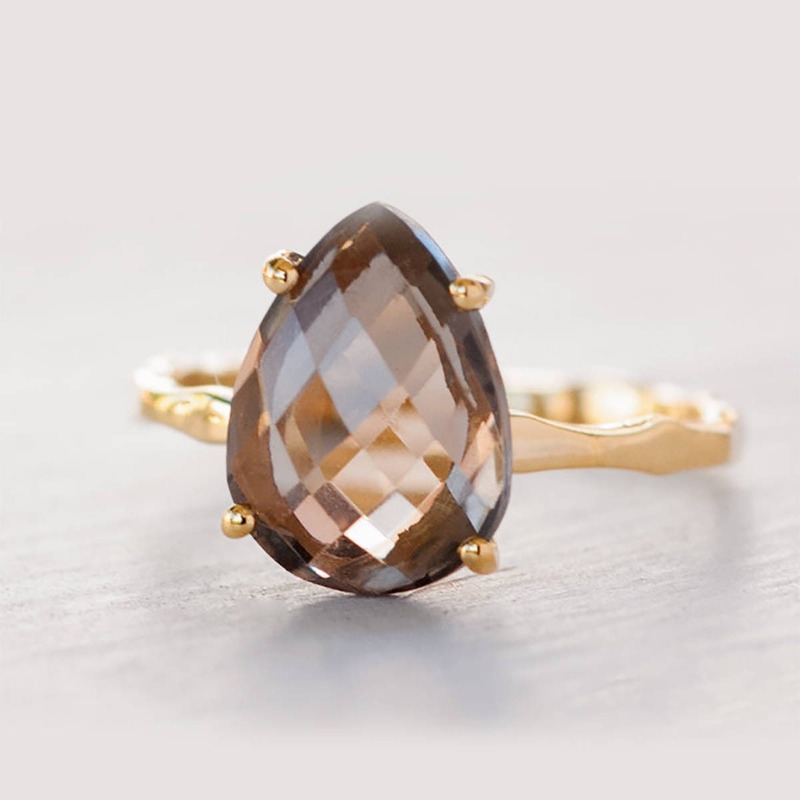 Smokey Quartz Solitaire Ring Gold. 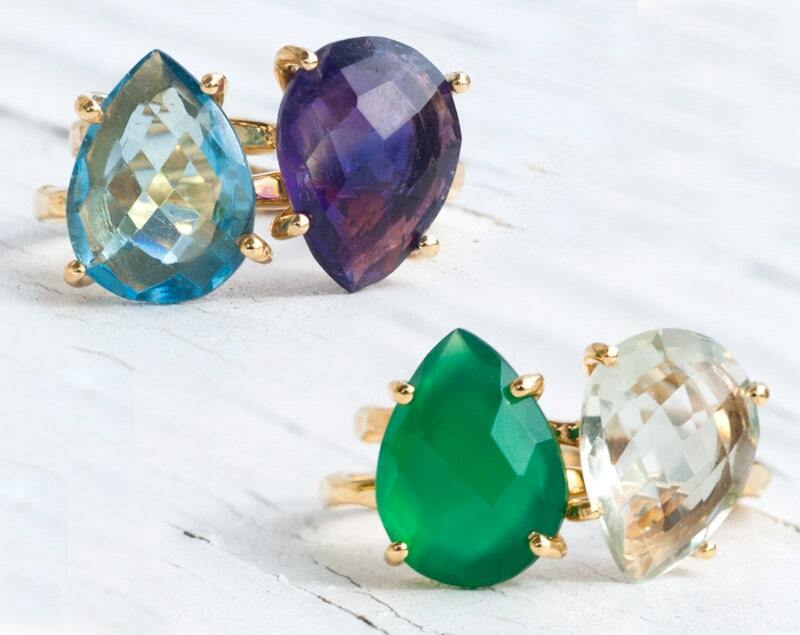 Perfect for stacking with our other prong set stone rings. 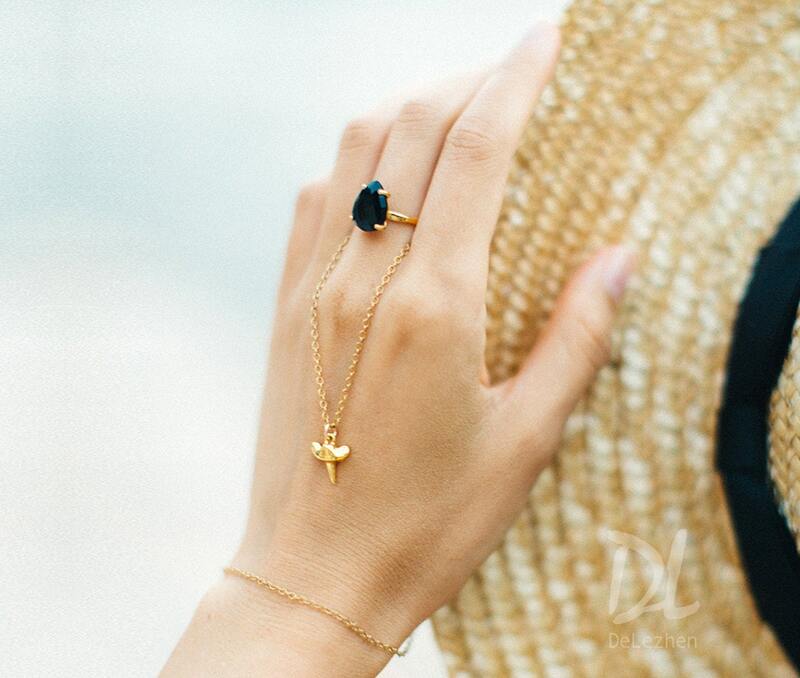 Available in 18K Gold Vermeil or 925 Sterling Silver. Please select size and metal option from drop down menu. 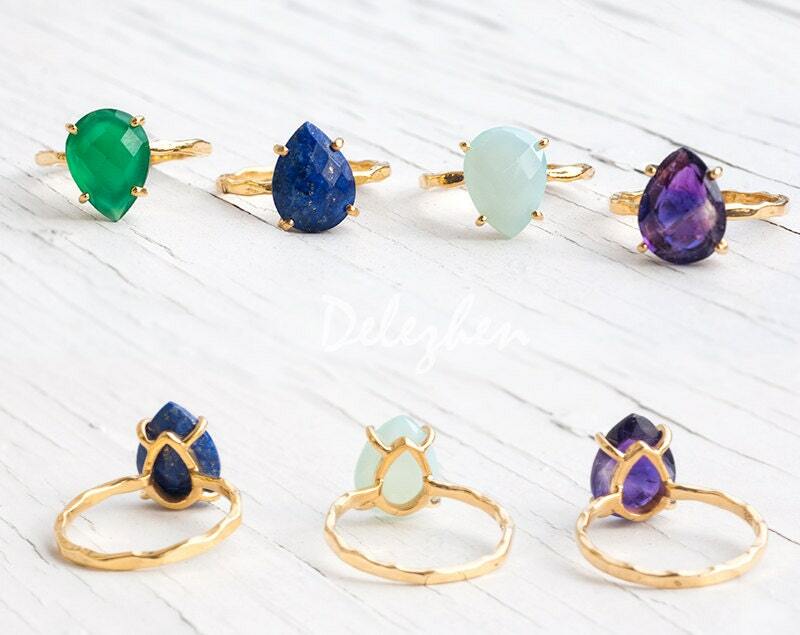 Love this ring!! It got delivered to the UK in 5 days only! 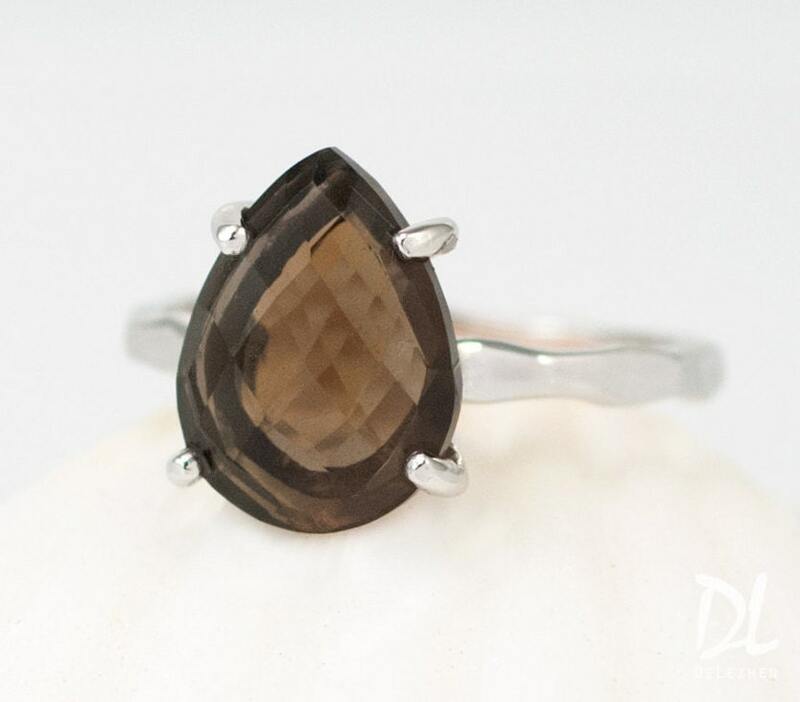 The ring is sturdy, simple yet original with the 'wavy' band and the stone is the perfect size. The ring is about 5/6mm in height which makes it stand out but not enough to get caught in clothes.